And no to the fish. Let’s just focus on taking care of our geriatric dog. It’s also that time of year when I’m excited about gift giving, but not excited about crowded stores, long lines, and grumpy shoppers. The crazy-eyed frenzy can be a holiday joy sucker. In order to preserve my jolly and festive feelings toward the holidays, while also indulging in my enjoyment of thoughtfully selecting and giving gifts to loved ones, I’m going to be doing most of my shopping from home. Online. Cyber Monday is for people like me. My fuzzy slippers are on, chai latte is in hand, and Christmas with Bing is playing in the background. Shopping at it’s finest. 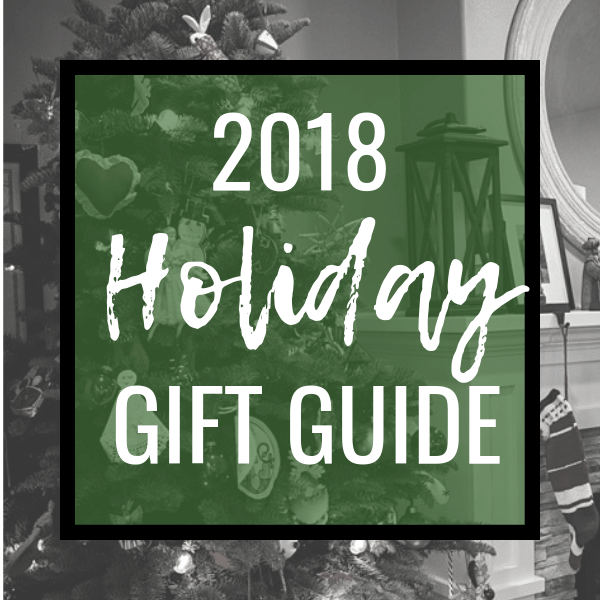 So here are my favorite gifts for 2018 (if you need my shipping address, just let me know…smiles) I hope whoever you gift these to thoroughly enjoys them! 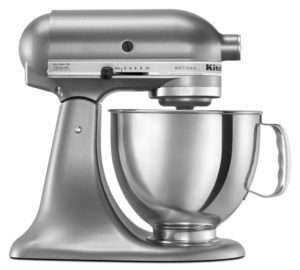 I LOVE LOVE LOVE my KitchenAid Mixer. It is a permanent fixture on my countertop. From making large batches of cookies (like these or these) to mixing my favorite cheesecake, this appliance is a baking workhorse. I love all the attachments that you can accessorize it with as well. How about an attachment for cutting and rolling your own fresh made pasta? Or for making your own gourmet shaped pasta?! Yes please. There is also an attachment to grind and mill your own fresh grains. This mixer does so much more than mixing. Click these links to view on Amazon. I’m a strong believer in giving myself the occasional gift. 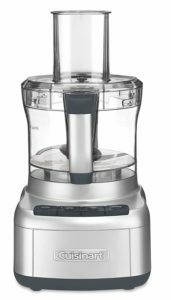 One year I bought myself a Cuisinart Food Processor. This was one of the BEST gifts I ever gave myself. With a jar of fresh homemade pesto (recipe here) in my hand that took minutes to make, I yelled out to Joe, “Look what I made!!! This thing has just revolutionized my life!” I also use my food processor religiously to make this Smoothy & Creamy Hummus, Smoked Salmon Dip with Dill & Capers, 5 Minute Peanut Sauce, and this tasty 5 Minute Green Garlic Dip. And I haven’t even mentioned the homemade salsas and sauces I whip up in this baby. A well-balanced set of essential kitchen knives are every foodie’s dream. High quality knives make all the difference in food prep. 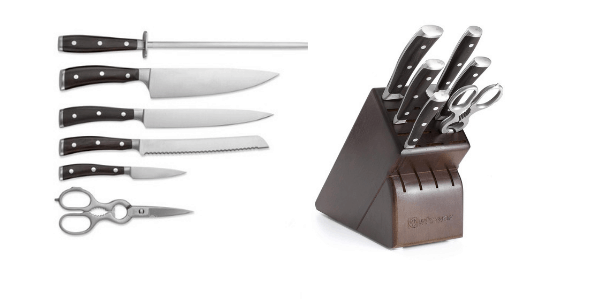 A really nice knife set is also really expensive, but the holiday season is usually when the biggest discounts are available so definitely take advantage of the season’s deals if you are looking to purchase a great set of knives that will last a long time. I love my Wüsthof Knife Set. 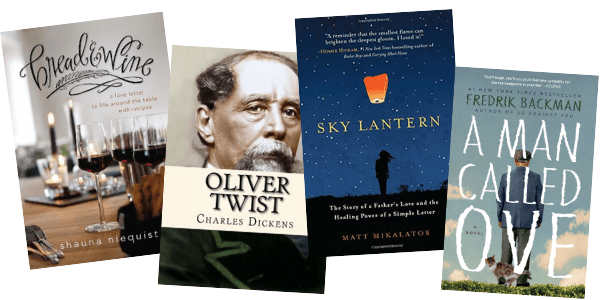 I love books that move the reader to reflect on life and the things that matter while also provoking laughter and tears, sometimes within just a few moments of each other. These are some of my faves. Note: You may also need to gift a box of Kleenex with some of these. 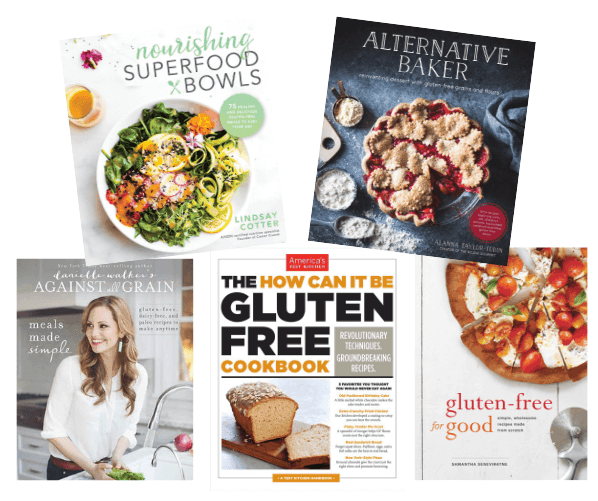 For anyone who loves cookbooks, especially those who have gluten intolerance, celiac, or would like to cook for someone who is. Perfect for the green thumb in the family. 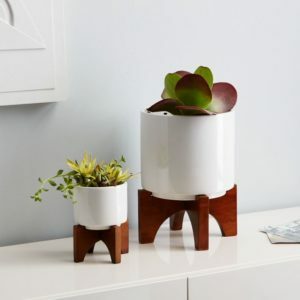 Create a cute gift basket by pairing one of these cute modern tabletop planters with a little green plant (or a succulent or cute cactus for the aspiring green thumb) and a small bag of potting soil. 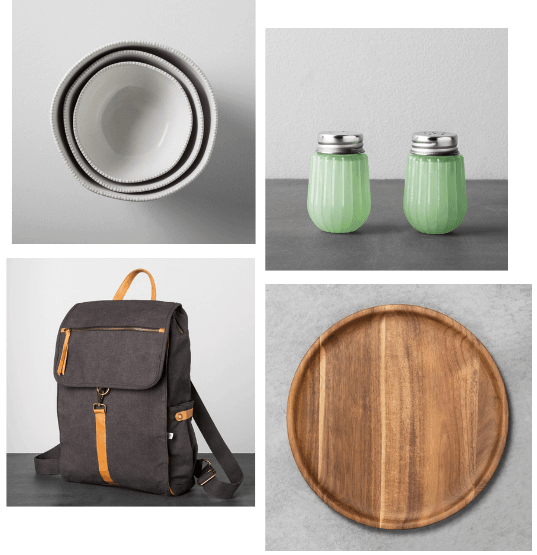 Click here to view on West Elm. Cozy feet are a must. 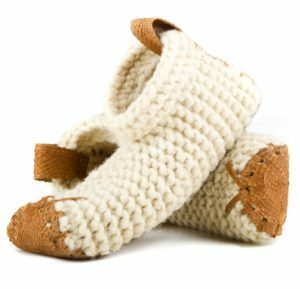 Plus, purchasing these slippers directly empowers artisan women living in vulnerable situations in rural Patagonia to sustain their culture and community doing what they know and love – knitting, while also empowering artisans to generate an ethical income from home. Purchases that promote a positive impact while also promoting cozy feet. Win win. Click here to view on Accompany. 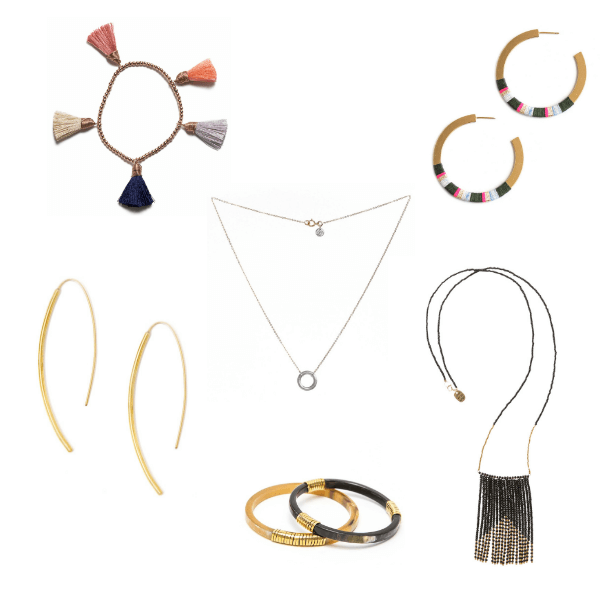 Because…jewelry. You know who that person is who would love some beautiful bling. Click on these links to view on Accompany (clockwise from top left). I absolutely LOVE the Hearth & Hand with Magnolia line that came out this last year at Target. But then again, I pretty much love anything that comes from home renovator and designer Joanna Gaines. If only an interior design fixer upper by Joanna was a Christmas gift, right?! Click on these links to view on Target. Give the gift of health, wellness, and community to a mother in your family. Whether she is pregnant, recently postpartum, or is a seasoned mom with grown-up kids there is a place for her within the Fit4Mom community. Not only will you be providing a supportive option for her to focus on her well-being by participating in some great workouts but you will be offering her a valuable opportunity to connect with other women in similar stages of motherhood, which will most likely turn into lifelong friendships. This is the gift that every mother needs. She just doesn’t know it yet. 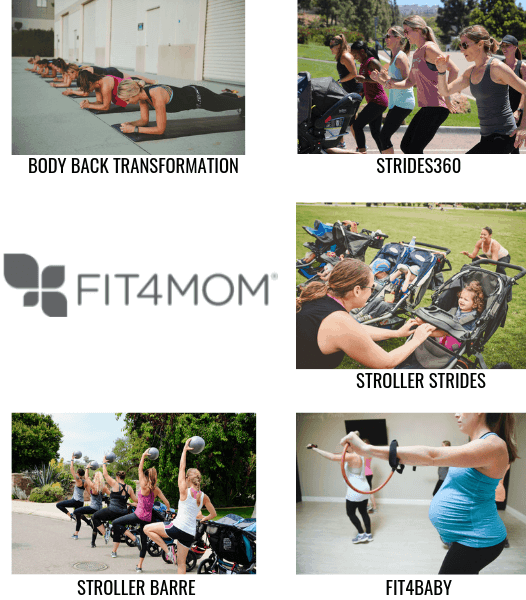 To find a Fit4Mom franchise nearest to you and to learn more about Fit4Mom’s program offerings click on this link and enter your zip code in the location finder. 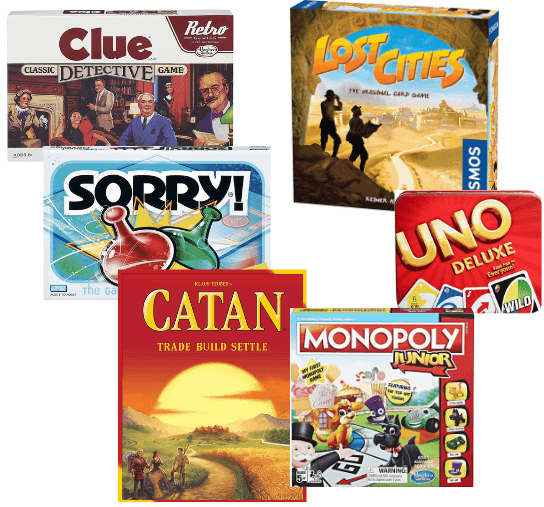 Stocking stuffers can be just as fun as the gifts under the tree. I’ll take two of the Maldon Sea Salt Flake Pinch Tins please. 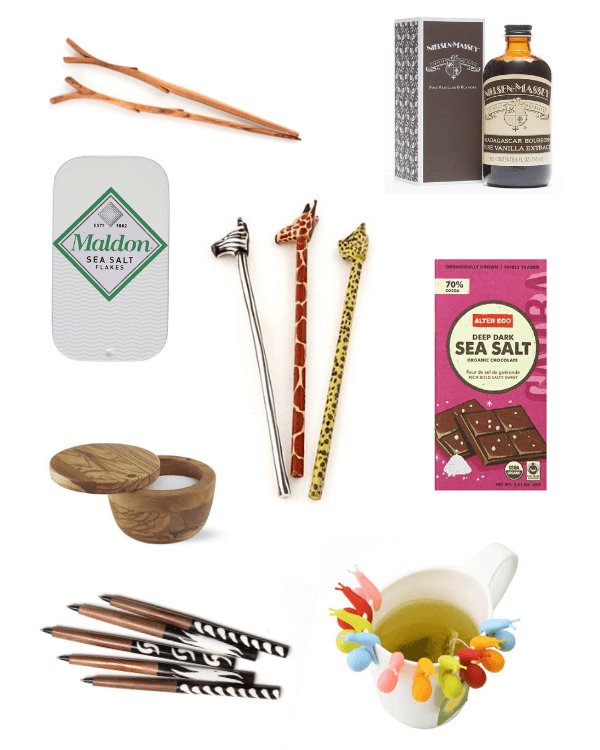 Click these links to view on Amazon, Accompany, and Williams Sonoma (clockwise from top left). For the wine lover or for the person who is scared of spilling wine when they use the precarious stemmed counterpart (pointing to myself). Click on this link to view on Williams Sonoma. 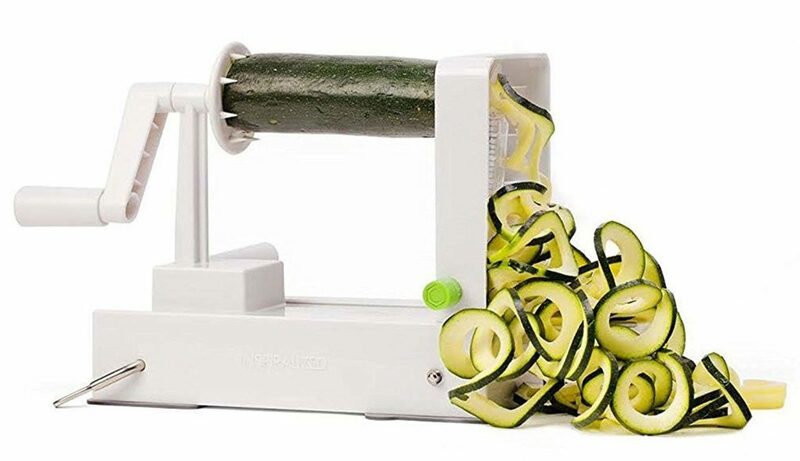 This gadget is awesome for spiralizing fruit and vegetables. I love using mine to make zoodles (zucchini noodles) or to make this Spiralized Cucumber Salad. A great gadget for adding some interest to meal time and for increasing my veggie intake. Get Inspiralized. Click on this link to view on Amazon. 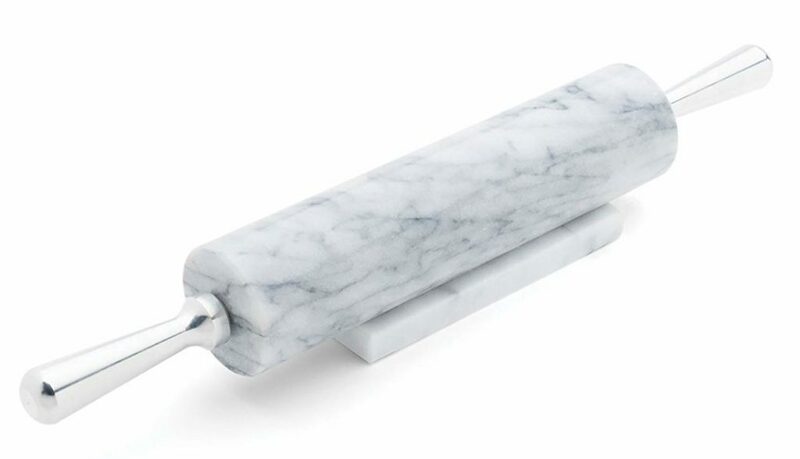 For the baker and expert pie and holiday cookie maker (which may ultimately benefit the giver of this sleek rolling pin). 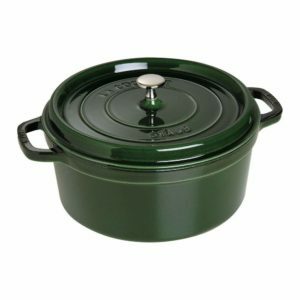 A dutch oven is definitely a must-have for all the tasty soups, stews, roasts, and all the cozy one-pot recipes. This dutch oven will last a lifetime. I kind of want one in every color. (I’m also especially loving the Matte Black, Dark Blue, and Grenadine colors). 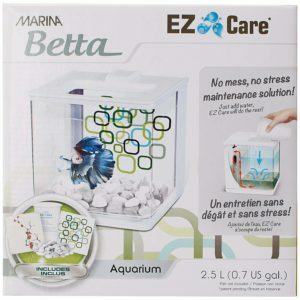 I’m thinking this no mess, no stress maintenance fish tank is right up my alley for two kids that desperately want a fish. Especially since we already have a geriatric dog. Disclaimer: All brand recommendations are purely my own opinion. I am in no way sponsored by the brands mentioned or compensated by these brands for my recommendations. This post may also contain affiliate links which I may receive a small commission from (without any additional costs to you). The money earned from these commissions helps me to maintain this website. Thank you for your support!